Miniaturisation has always been one of the watchmaking industry’s main objectives. With the advent of complicated watches and the development of the wristwatch, this issue became critical. Fitting multiple functions into a single movement, which has to remain wearable, requires re-imagining space. This also led to the development of ultra-thin watches, guided initially by a desire for elegance, but also in the framework of constant improvement. 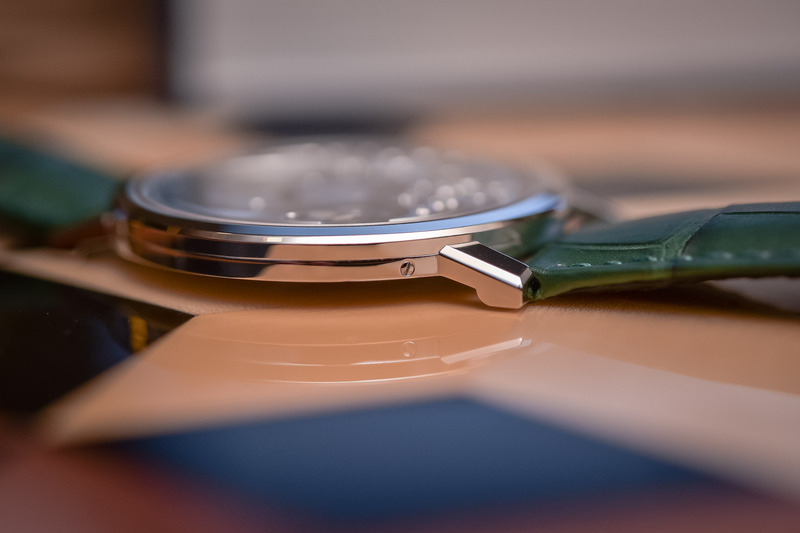 Popular since the 1960s but slightly forgotten during the 2000s (with the trend for large timepieces), ultra-thin watches recently made a strong comeback – a trend that has sparked open warfare between Piaget and Bvlgari – amongst others. The concept of the ultra-thin wristwatch is nothing new but it’s Piaget and the iconic Altiplano model that bring it into the spotlight. 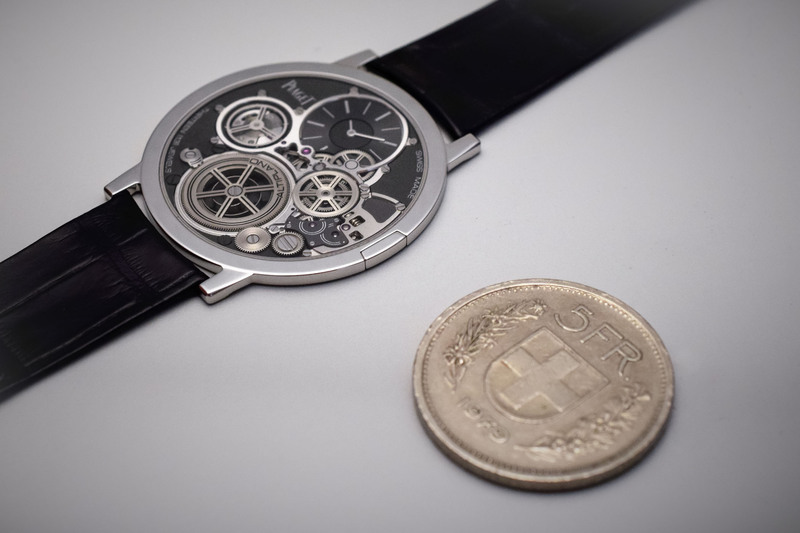 In 1957, Piaget introduced Calibre 9P; the thinnest mechanical movement ever created, it was fitted inside a watch that was thinner than anything that had ever been seen before. This ultra-thin hand-wound movement was just 2mm thick, resulting in watches barely thicker than 4mm. Considering the lack of computer-aided production, Calibre 9P is still considered an incredible development. Left: the 1957 Piaget Calibre 9P hand-wound – Right: the 1960 Piaget Calibre 12P automatic. 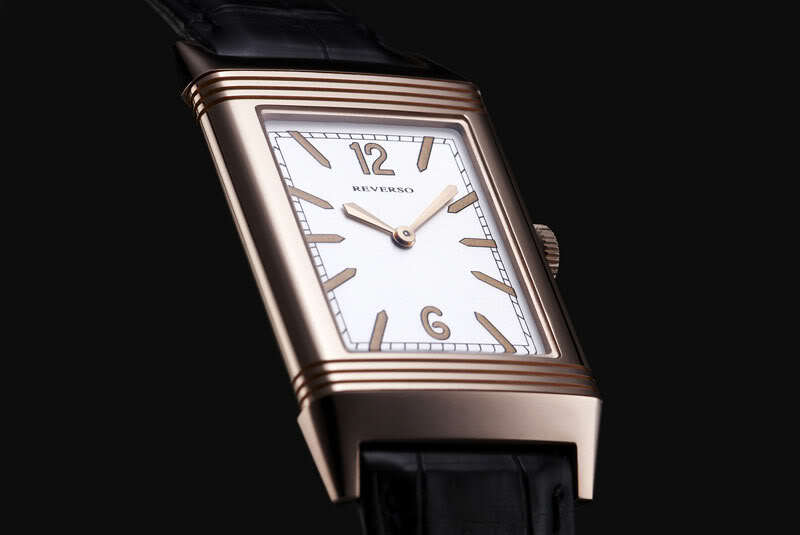 A few years later, in 1960, the same brand came out with an automatic movement, driven by the same quest for thinness. Calibre 12P, which measured 2.30mm thick, was developed around the relatively novel concept of the micro-rotor. While automatic watches usually relied on a centrally-mounted oscillating weight, here the rotor is much smaller and integrated on the same level as the bridges, shaving the few extra millimetres usually required on an automatic watch. These two movements, 9P and 12P, set the tone for the decades to come and gave Piaget the credibility it still enjoys today. 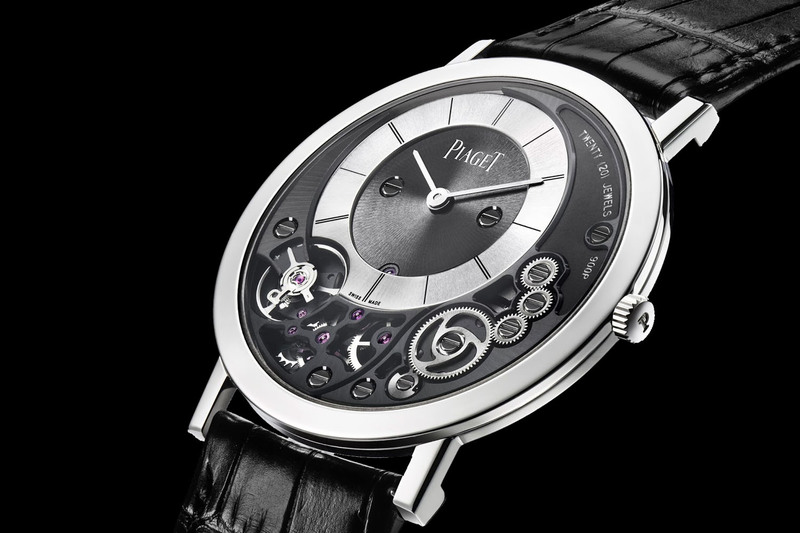 Piaget Calibre 20P, based on the Jean Lassale Calibre 1200, a 1.2mm thick hand-wound movement. Yet, Piaget was not the only manufacturer to play the ultra-thin game. Knowing how complex and fragile these movements were, few tried and even fewer achieved results. A noticeable name in the field is Jean Lassale, a Swiss watch company that designed Calibre 1200, certainly the thinnest mechanical watch movement ever, with a 1.2mm record-thin profile. To achieve such thinness, Lassale removed the top bridge (leaving the parts attached only on one side, from the main plate to the counter pivots), and instead used ball-bearings for the axis (14 of them, each using 0.20mm balls). An automatic version, Calibre Jean Lassale 2000, was later developed, measuring 2.08mm thick. These movements, which proved unreliable and extremely fragile (uncasing them for service operations was almost impossible) were produced from 1976 to 1979. Jean Lassale was later sold to Seiko, while the technical documents and the patents were bought by Lemania. The latter continued to provide evolutions of these movements to Piaget (under the name Lemania 1210 and 2010) and to various brands such as Vacheron Constantin (under the name Calibre 1160 and 1170). The wafer-thin profile of the Concord Delirium IV, measuring only 0.98mm (a quartz watch though). At the same time, the fast development of quartz technology gave a boost to ultra-thin watches. The substitution of complex mechanical movements with electronic components opened up possibilities to go even thinner. 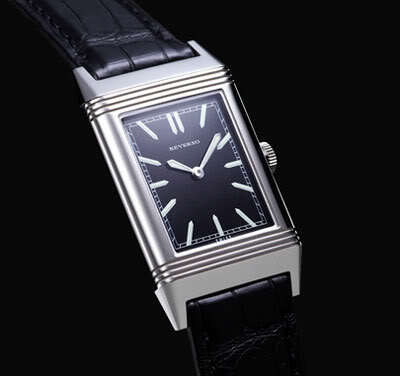 The best example of an ultra-thin quartz watch is the Concord Delirium, created in 1979. It was, at that time, the thinnest watch ever made (and it is still one of the thinnest watches today), at 1.98mm thick. Subsequently, a Delirium 2 was released, which was even thinner at 1.5mm. The Delirium IV ended the battle as Japanese manufacturers presented its wafer-thin 0.98mm case. 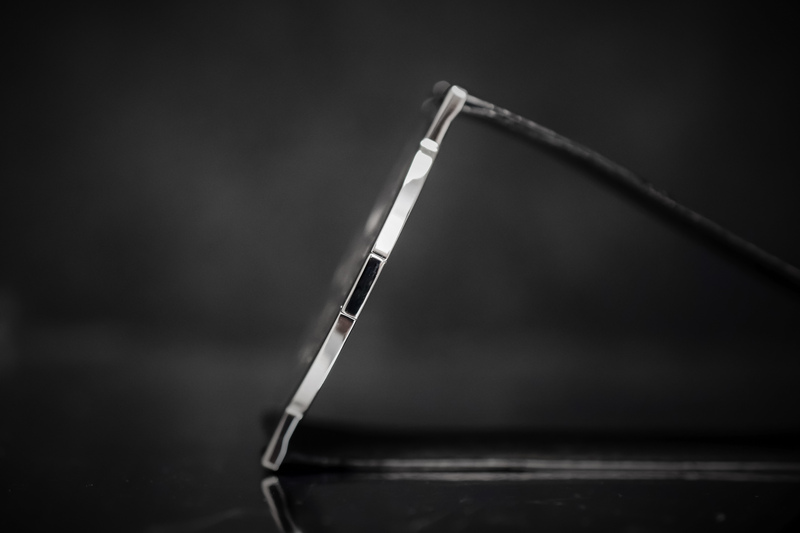 This record-thin profile was possible by using the case back of the watch as the main plate for the movement – a technology later adopted by Swatch for the 1983 plastic watch, and by Piaget for the development of Calibre 900P. Audemars Piguet Ref. 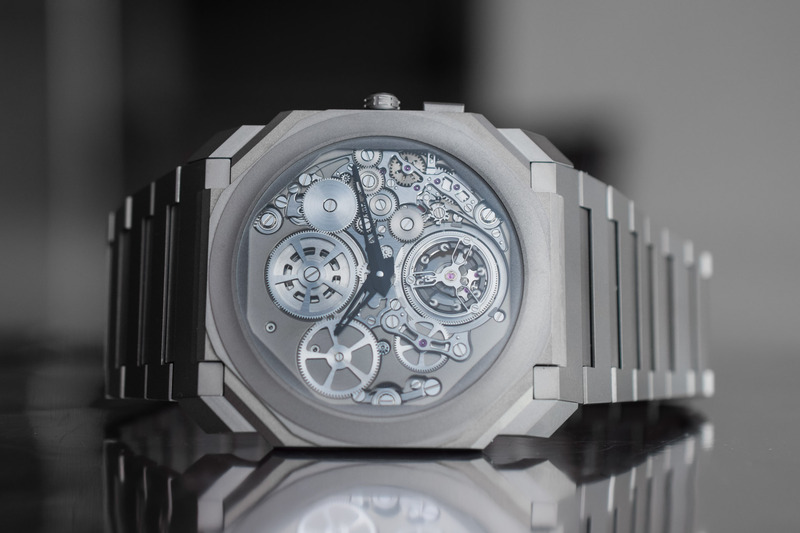 25643, the first serially-produced tourbillon wristwatch, with automatic Calibre 2870 and a 4.8mm thick case. While the quartz crisis was still having negative effects on the Swiss industry, the race for thinness didn’t abate. 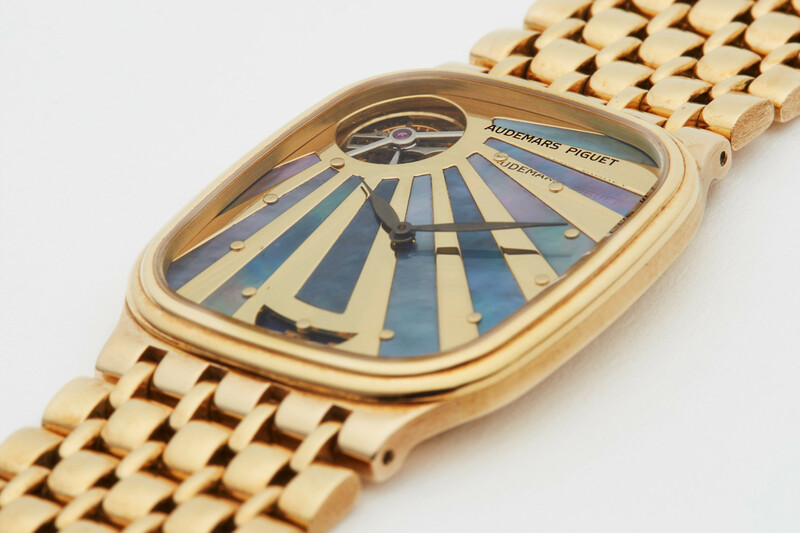 In 1986, Audemars Piguet developed Ref. 25643 with automatic Calibre 2870, the first serially-produced tourbillon watch and, until very recently, the thinnest tourbillon watch ever (hand-wound or automatic). Calibre 2870 and the watch in which it was encased are remarkable for various reasons. It featured an extremely small tourbillon carriage, measuring only 7.2mm in diameter, about 2.5mm in height, and was crafted in titanium. The self-winding capacity was provided by a “hammer” winding system instead of an oscillating weight. Just like the Concord above, this Audemars Piguet had no main plate and the parts were fixed directly on the case back – again, a clever way to reduce height. Finally, the fact that the tourbillon was visible through the dial was not a design choice. It was driven by technical reasons – again, to reduce the thickness, the tourbillon was placed through this aperture, and not under the dial. 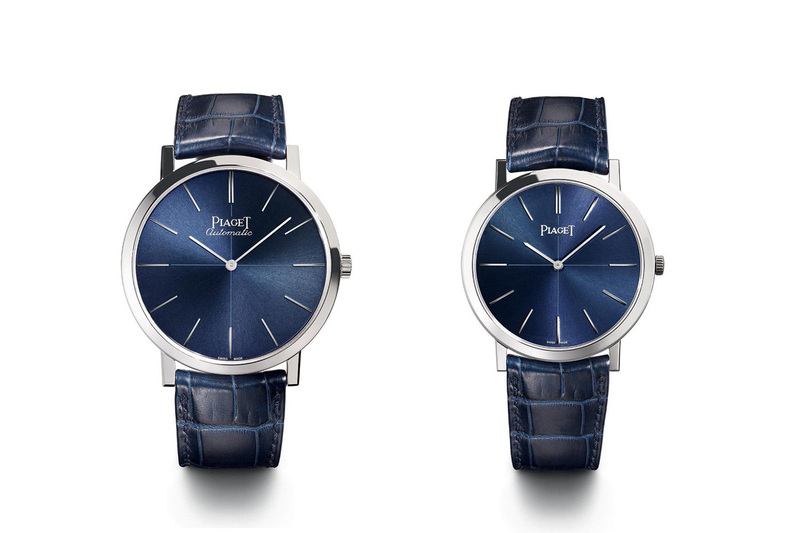 Several years would have to pass before the concept of ultra-thin wristwatches reappeared on centre stage – and unsurprisingly, it was thanks to the company that started it all: Piaget. 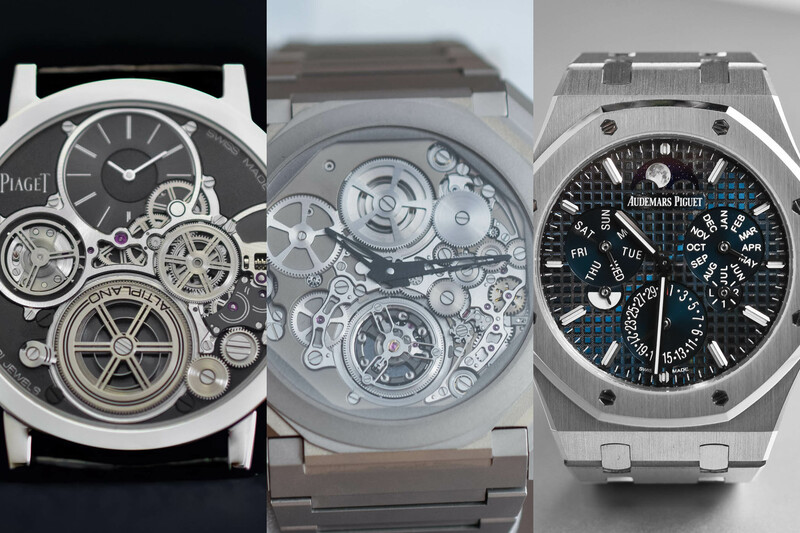 Certainly, there have been multiple ultra-thin watches produced; Patek Philippe didn’t stop manufacturing the Nautilus or the Calatrava, equipped with calibre 324 or 240, Vacheron Constantin and Jaeger-LeCoultre also continued to have ultra-thin pieces in their collections as did Audemars Piguet. The race for thin started again in the 2010s, and the last two years are the new Golden Age of the ultra-thin watch. While Piaget still had various Altiplano watches in the collection, most of them equipped with hand-wound Calibre 430P and automatic Calibre 1200P (direct descendants of the 9P and 12P), we’d have to wait for the 900P to be introduced in 2014 to see the battle for thin in action. 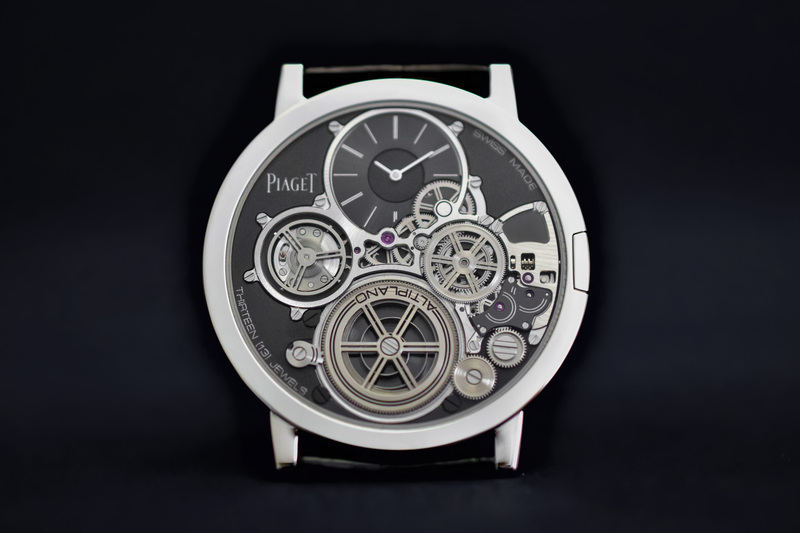 Back then, Piaget impressed the industry by launching the thinnest mechanical watch ever, equipped with Calibre 900P and displaying an impressive architecture for the case/movement construction. Based on research done in the 1980s on the Concord Delirium and the inaugural Swatch, Piaget shaved extra millimetres by removing the main plate. The movement was not independent anymore but formed part of the watch itself. 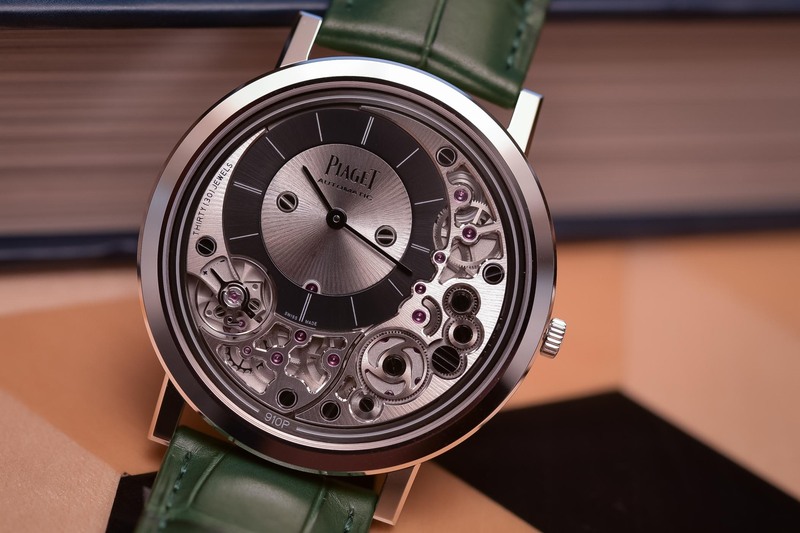 The case back of the Piaget Altiplano 38mm 900P was machined to receive the parts of the movement, requiring only an upper bridge to hold the moving parts in place. This specific construction, quite rare on a mechanical watch, allowed for the creation of a watch measuring just 3.65mm in height. This watch remained the thinnest mechanical watch for two years until Jaeger-LeCoultre launched the Master Ultra-Thin Squelette, with an impressive 3.60mm case – and more traditional architecture, with its movement independent from the case. More recently, Piaget has found a new contender to challenge its supremacy: Bvlgari. The war for thin was declared giving the industry an opportunity to exercise its creativity. After the Romans launched the thinnest automatic watch, Piaget reacted just before the SIHH 2018, with the launch of the Altiplano Ultimate Automatic 910P. Based on the 900P, this watch adds a self-winding capacity with a peripheral rotor, located around the movement, just under the bezel. This allows the watch to maintain an ultra-lean 4.30mm profile. However, as you’ll see, this record only lasted three months. The final uppercut came at the SIHH 2018. 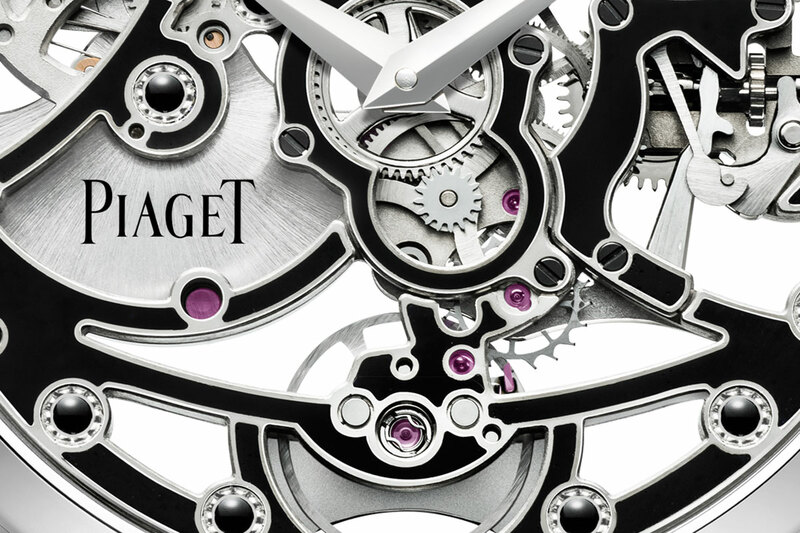 Piaget had to react once and for all, which it did with the Altiplano Ultimate concept. Basically, this is the thinnest mechanical watch ever created, and by far. At 2mm thick overall, it shows a gain of no less than 1.60mm, compared to the previous record established by JLC. 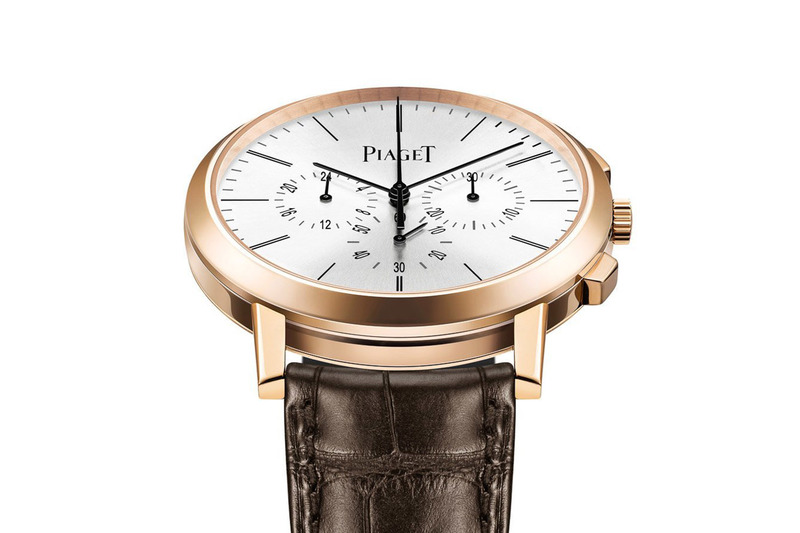 To achieve such thinness, Piaget uses the same case back/main plate construction but also simplifies the rest to gain in space: case back, bezel, main plate and glass on one level and the dial, hands and movement components on the other. The movement’s parts have been redesigned with several ball-bearings, a mainspring with no cover and no drum integrated into a recess machined directly into the case back, a regulating organ that is not held in place by a balance bridge but is cantilevered instead (a flying balance). Finally, the glass on top measures only 0.2mm (compared to over 1mm on most watches). In order to keep enough stiffness and not to bend, the case is made of cobalt alloy. Considering all of these improvements, it is pretty hard to imagine that Piaget’s record will be broken in the near future. No one saw it coming. Five or six years ago, Bvlgari was still, for most of us, a respectable jeweller but not a top-tier watchmaker. 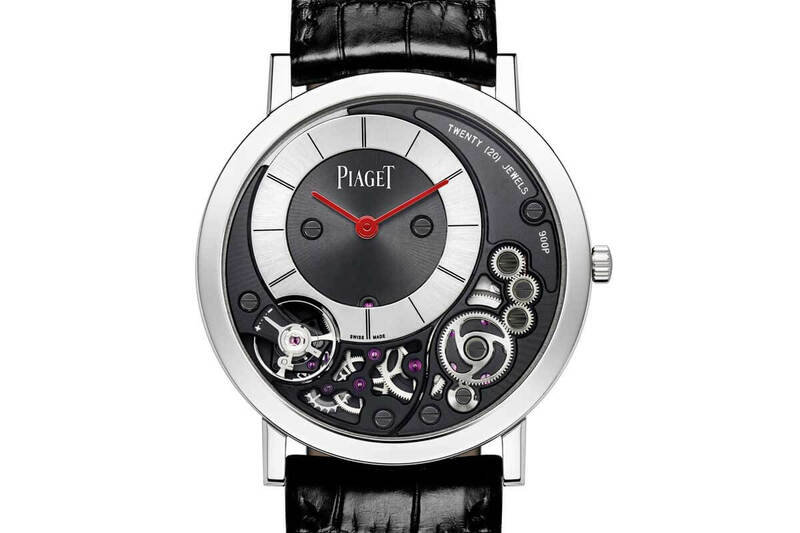 Today, it ‘s giving Piaget’s R&D team serious headaches. 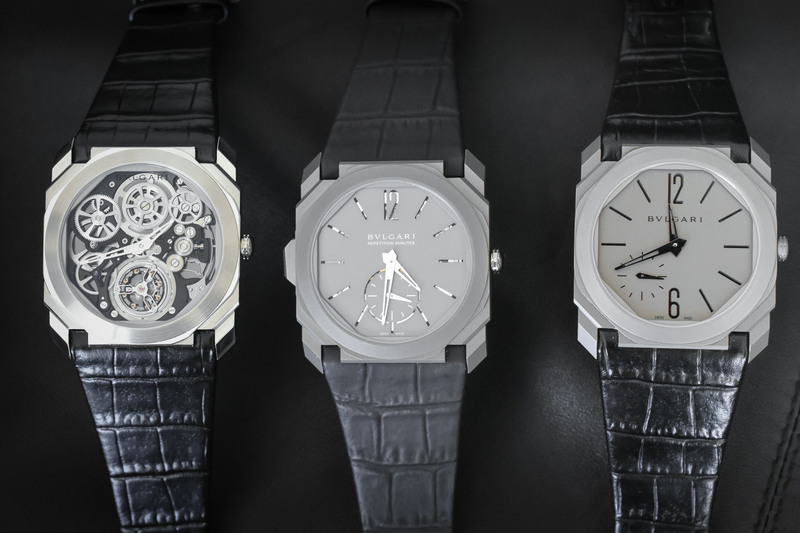 It all started with the integration of two manufacturers under the Bvlgari umbrella: Daniel Roth and Gerald Genta, both known for their unique design and mainly, for their ability to create ultra-complex watches. When a manufacture has the capacity to create a grande sonnerie, it knows a thing or two about miniaturisation – the perfect base to create ultra-thin movements. It all started during Baselworld 2015 when Bvlgari introduced the Octo Finissimo Tourbillon, back then the thinnest tourbillon movement ever created – not the thinnest tourbillon watch, as this record was still in hands of Audemars Piguet, with the 1986 Ref. 25643. Yet, at 5.00mm in height, the case of this watch was not only ultra-bold and ultra-modern in terms of design, but it was also ultra-thin. The hand-wound movement developed in-house by the brand measured only 1.95mm in height. The entire movement was shaped around the tourbillon cage so that the tourbillon cage’s thickness determined the thickness of the entire movement. Also, instead of using jewels, the escape wheel and the mainspring barrel are kept in position and are guided by ball-bearings, and the tourbillon cage is pivoted by a cartridge bearing. Following the same idea, Bvlgari demonstrated the same savoir-faire on a second complication, one of the most complex of the industry: the minute repeater. While the previous record holders were Vacheron Constantin with the 8.09mm thick Patrimony Ultra-Thin Calibre 1731 and later Jaeger-LeCoultre with the 7.90mm Hybris Mechanica 11, Bvlgari showed impressive savoir-faire by presenting the Octo Finissimo Minute Repeater, the second member in the ultra-thin trilogy of the brand. With its superbly thin and decorated 3.12mm movement and a 6.85mm titanium case shaped in a modern, bold way, this new watch is to date the thinnest minute repeater on the market. 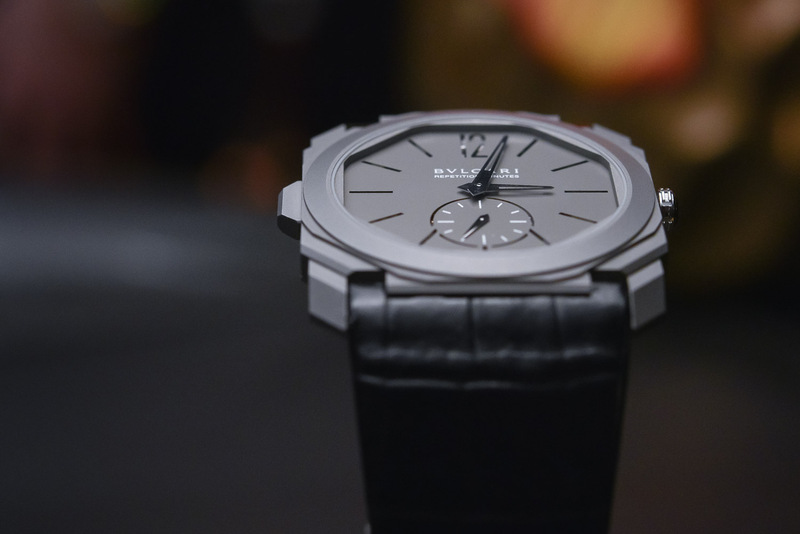 The third watch in Bvlgari’s ultra-thin trilogy is actually the simplest of them all: the 3-hand automatic. Again, we find the same modern, angular design, the full titanium case and dial and the hyper-thin profile. 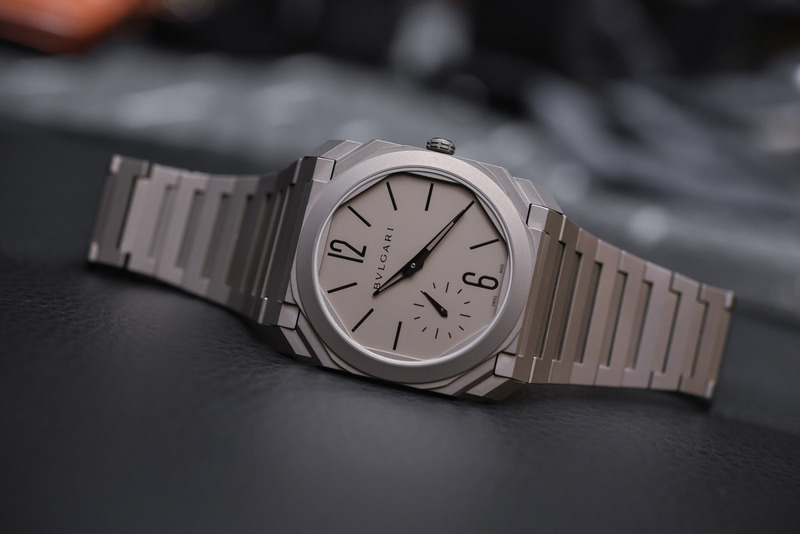 When it was launched at Baselworld 2017, the Bvlgari Octo Finissimo Automatic came with the thinnest automatic movement available at that time – 2.23mm in height to be precise – and an ultra-thin 5.15mm case. After closer inspection, it appeared that it was not the thinnest automatic watch ever (still the AP ref. 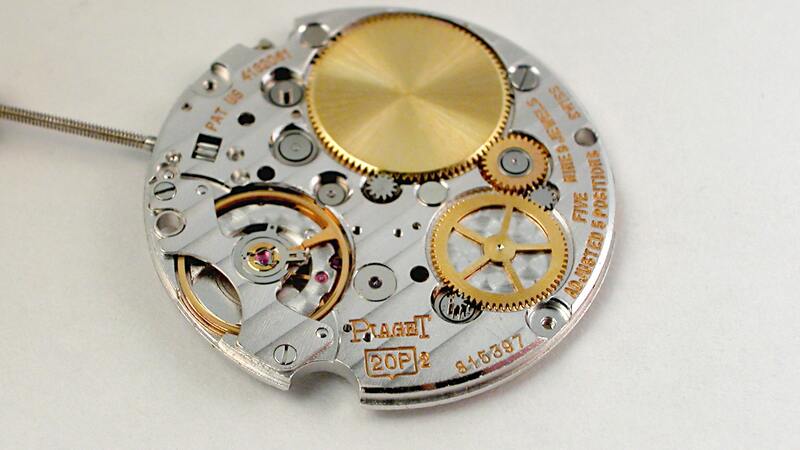 25643 at 4.8mm), nor was it the thinnest automatic movement (the Lassale 2000 was 2.08mm). However, no debate about the beauty and technical achievement. The Octo Finissimo, with its micro-rotor movement and a relatively decent price, was a great success for the brand. Audemars Piguet has a suprising talent to bridge seeming contradictions. 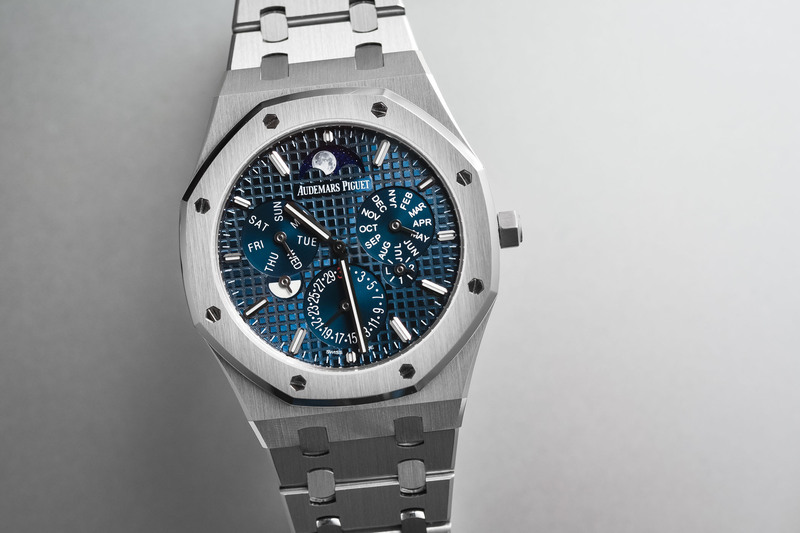 As the advocate of the ultra-bold and large sports watch – it invented the concept back in 1993, with the Royal Oak Offshore – Audemars Piguet is also the producer of ultra-thin watches, like the standard Royal Oak. However, we must not forget two things. Audemars Piguet created the concept of the ultra-thin luxury sports watch back in 1972, and it also has the capacity to manufacture grande complications (a watch that combines a chronograph, a perpetual calendar and a minute repeater), meaning movements with true miniaturisation savoir-faire. At the SIHH 2018, Audemars proved to the industry that it is still very much in the game, by introducing the thinnest automatic perpetual calendar. The Audemars Piguet Royal Oak RD#2 is still a concept watch for the time being, but it will be produced in small series in the years to come. By working on the perpetual calendar module – now integrated into the base movement and not added on top of it – as well as on the movement and the case, AP has created a watch that measures 6.30mm in height, with a movement that is 2.89mm thick. Compared to a 15202ST (case of 8.1mm and movement of 3.05mm), it means that both the case and the movement (the same base movement) are much slimmer. Quite an impressive development. Because images are better than words, we encourage you to have a look at two videos we produced recently. thanks for this comprehensive article, very educational ! Great write up! I also admire JLC as a not quite as crazy thin but more practical brand. With the scaling back on big watch sizes, I’ve noticed more watches getting thinner as well.